Dr. Leslie D. Appel is the Founder and Executive Director of Shelter Outreach Services (SOS). She is also a Courtesy Lecturer at the Cornell University College of Veterinary Medicine. 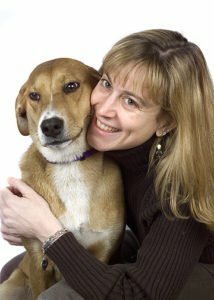 Prior to her current positions, Dr. Appel was a staff member at the ASPCA where she was the Director of Veterinary Outreach. Before joining the ASPCA, she was a full-time faculty member at Cornell University College of Veterinary Medicine where she was an Instructor in Small Animal Surgery. She enhanced Cornell’s shelter medicine program by teaching the students spay and neuter surgical techniques utilizing animals from local shelters. Dr. Appel is a 1994 graduate of the Cornell University College of Veterinary Medicine. Following graduation from veterinary school, she completed a Small Animal Internship at the College of Veterinary Medicine at the University of Illinois. She then spent one year as a surgery resident at the Animal Medical Center in New York City. She also has experience working in companion animal private practice. Dr. Appel’s professional areas of interest include high quality high volume spay neuter and shelter medicine. Dr. Appel was the 2013 recipient of the AVMA Animal Welfare Award. Dr. Appel lives in Ithaca, NY with her husband Keith, their two beautiful children Bailey and Boden, their beloved dog BeeBee and sweet cat Pip.